The ISI Jan Tinbergen Awards are named after the famous Dutch econometrician and are sponsored by the Dutch ‘Stichting Internationaal Statistisch Studiefonds’ (Foundation International Statistical Study Fund). The aim of the Foundation is to offer assistance to developing countries in the statistical domain. The intention of the ISI Jan Tinbergen awards is to meet the Foundation’s aim and two of the fundamental objectives of the ISI, namely defining and instituting constructive roles in supporting the development of young statisticians and in building statistical capacity in developing countries. In 1983 the “Stichting Internationaal Statistisch Studiefonds” is founded. The aim of this Foundation is to offer assistance to developing countries in the statistical domain. The capital of the Foundation is based on donations in the period 1983 - 1985. 1st Prize: Marcelo Bourguignon Pereira (Brazil) for his paper Modelling time series of counts with deflation or inflation of zeros. 2nd Prize: Christian Eduardo Galarza Morales (Brazil) for his paper Robust logistic quantile regression models using skewed heavy-tailed distributions. 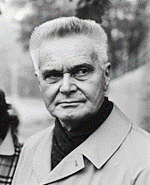 The ISI Jan Tinbergen Awards are named after the famous Dutch econometrician. The statutes are revised on 15 february 2018.